Griffith College Ireland – Irish: Colaiste Ui Ghriofa, located in the heart of Dublin is situated on a 7 acre campus and has a heritage dating back over 200 years. Established in 1974 it is the largest and longest established private third level college in the Republic of Ireland and has a student population of over 7,000. 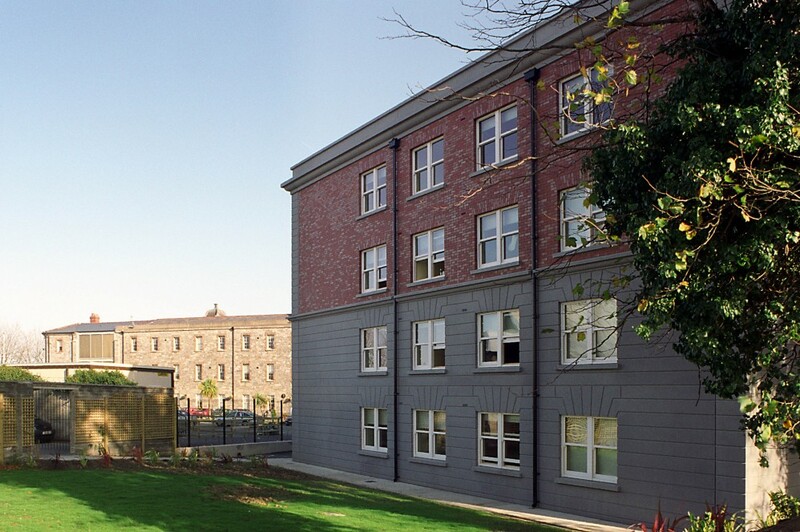 Due to increasing demand for student accommodation in Dublin, Griffith College undertook a major building programme to cater for an ever increasing number of students attending their third level courses. The existing building has a redbrick façade with sliding sash windows. The proposed new extension had to match this style with a traditional sliding sash windows that had high energy performance ratings and was maintenance-free. The Signature clad/wood sliding sash window met this brief. 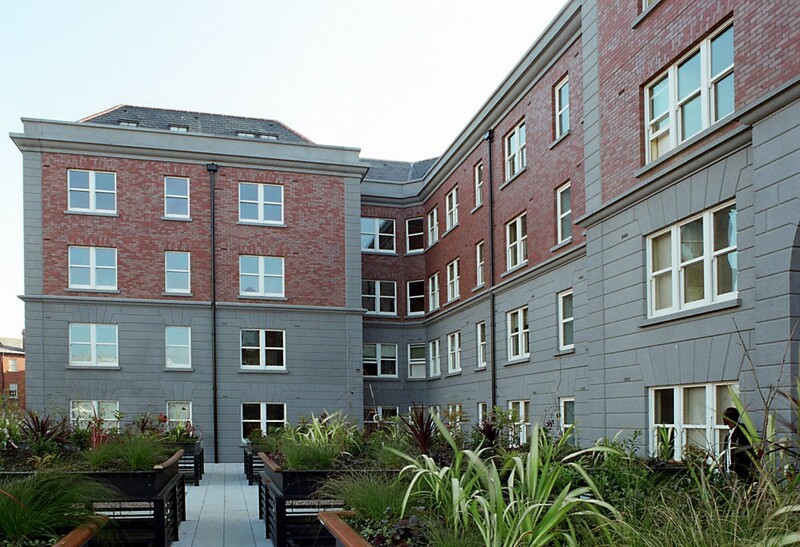 Over 900 clad/wood Signature sliding sash windows were supplied and installed over a very tight 3/4 month build period in order for accommodation to ready for the students on returning to college after the Summer recess in September/October. The windows were installed into a steel and pre-cast external structure to mock the existing traditional and to allow for a fast-track build schedule. 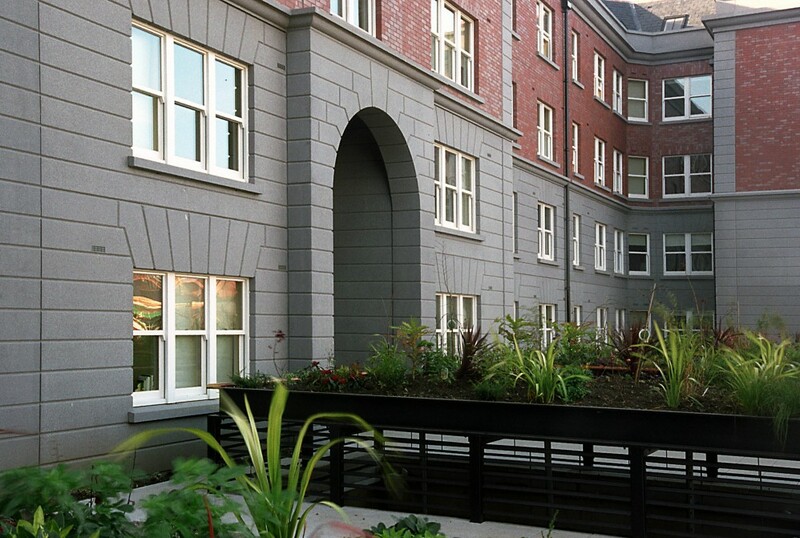 Staged delivery schedules were agreed between the main contractors Hegarty and the Signature Commercial Project team. Two of the Signature Windows dedicated installation crews worked around the clock and installed approximately 40 window units a day in order to meet on site schedules. The Signature manufacturing plant has the ability to manufacture over 800+ units a week and could thus guarantee that delivery demands would be met. Due to the very high quality control levels within the factory all windows met the high standards required. Signature Windows was involved in this project from conception to completion and ensured each part of the project was fitted on-time and on budget. Ciaran McCoy of Aidan Powell & Associates -Project Architect. The project demanded that windows be fully finished. Signature Windows paint shop finished the units in a Sadolins opaque primer and Sikkens Rubbol paint finish.